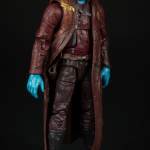 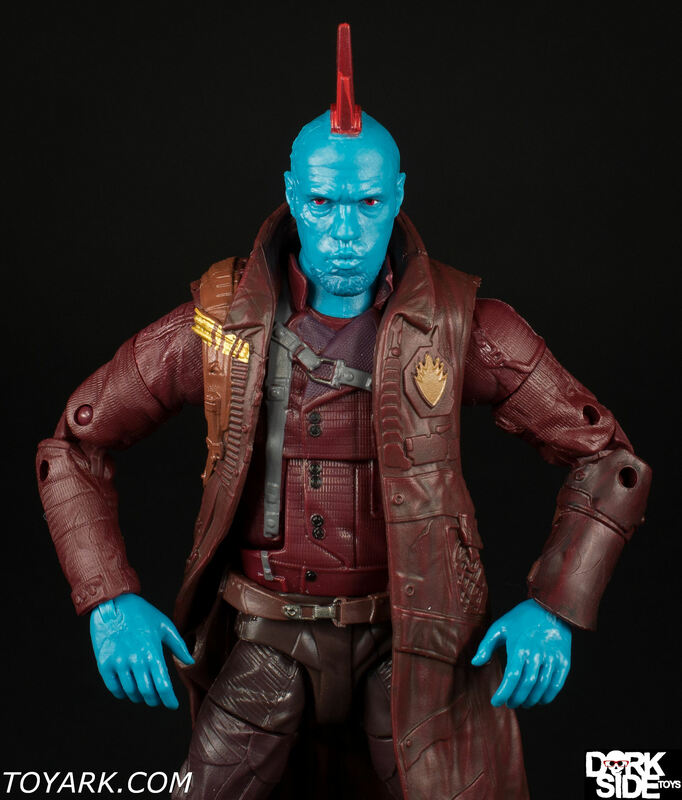 Yondu Udonta is a Centaurian, leader of the Ravagers and father figure to Peter Quill. 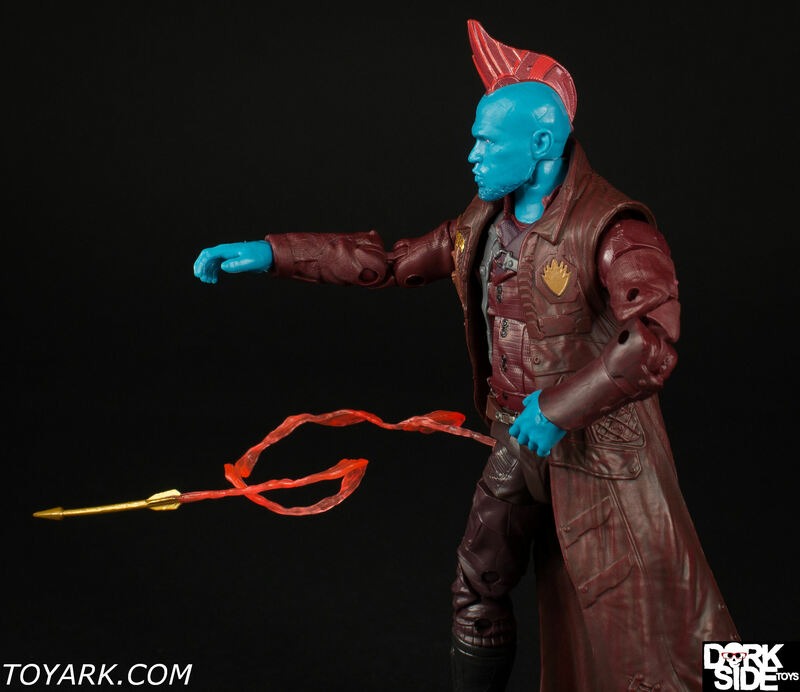 When Quill betrayed the Ravagers and stole an Orb for himself, Udonta led the hunt for his former ally. 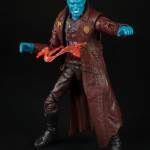 Eventually Udonta caught up with Quill but was convinced to help in him the war against Ronan the Accuser, who was threatening to use the Orb’s power to destroy the planet Xandar. 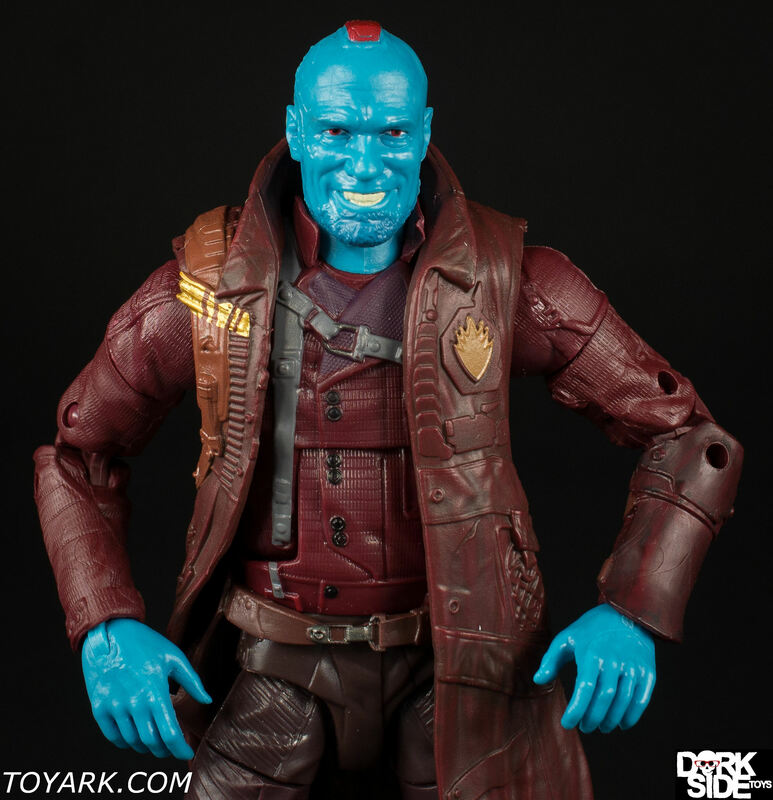 Related Dorksidetoys links: Marvel Legends Guardians of the Galaxy: Vol. 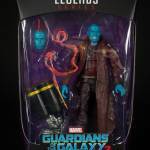 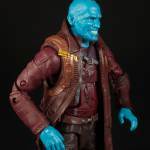 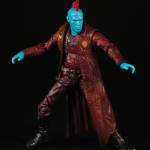 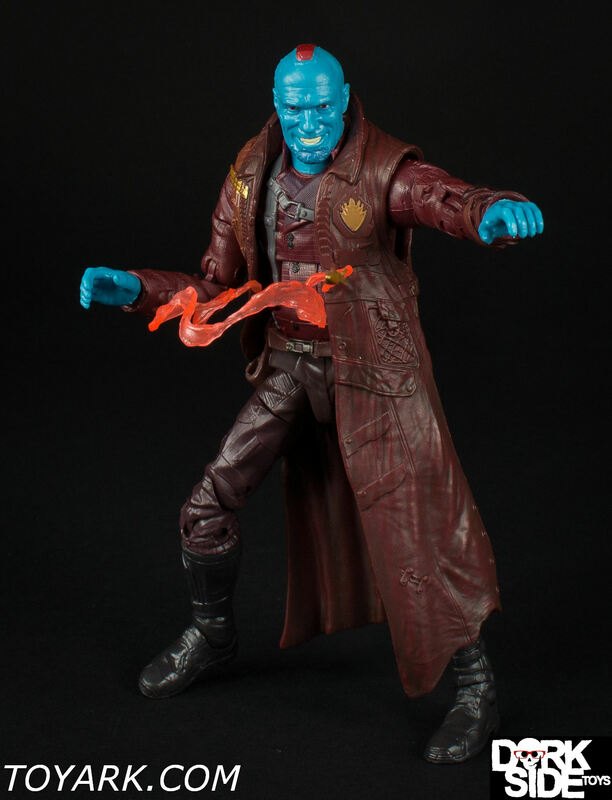 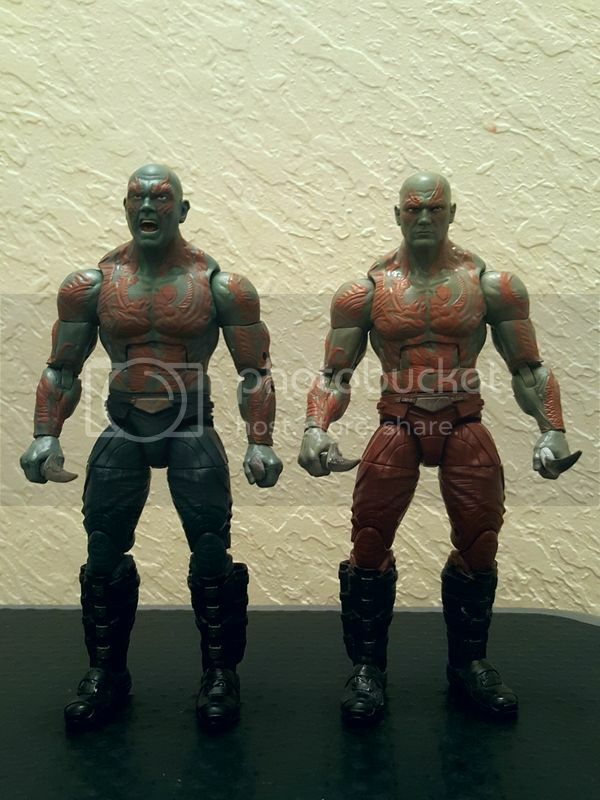 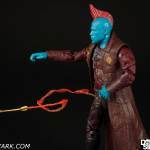 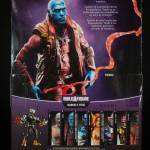 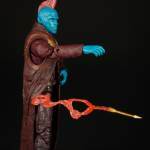 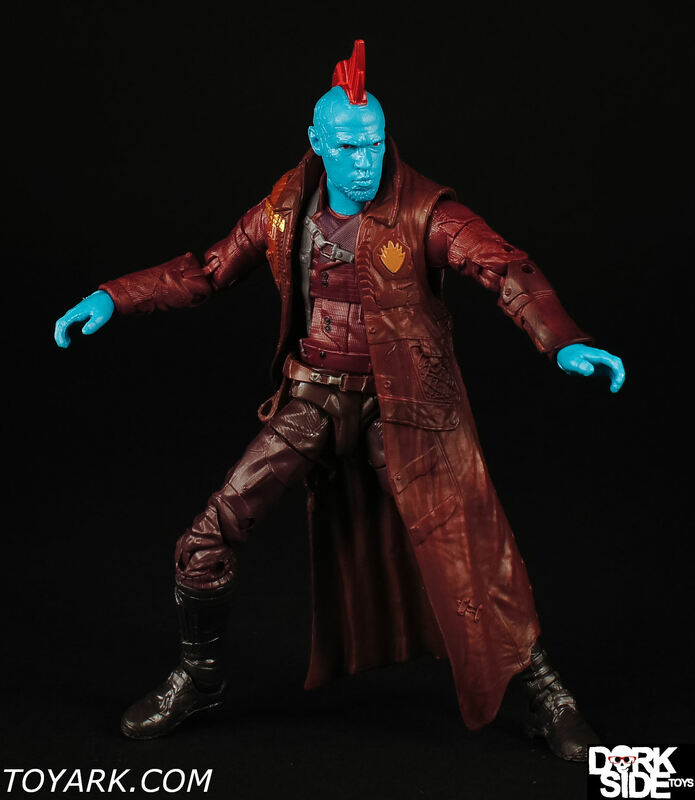 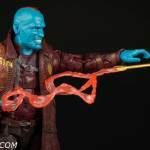 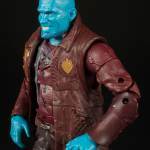 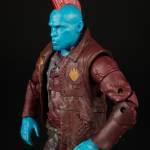 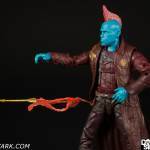 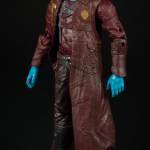 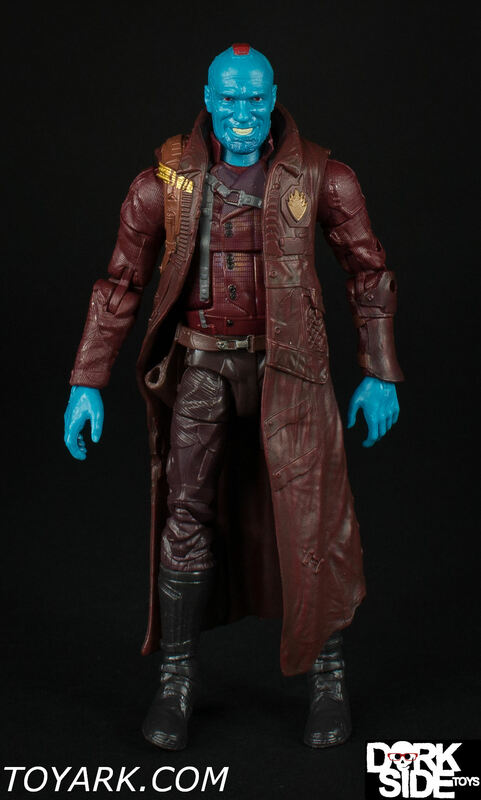 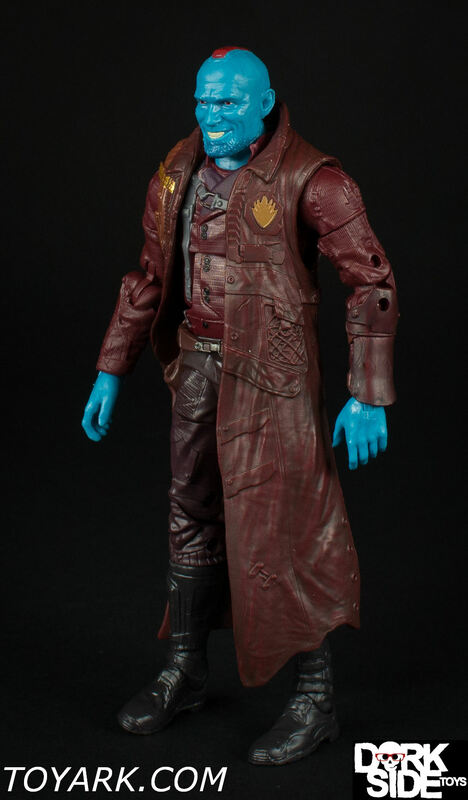 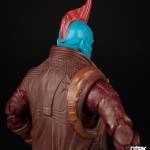 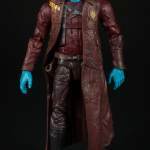 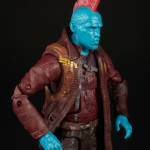 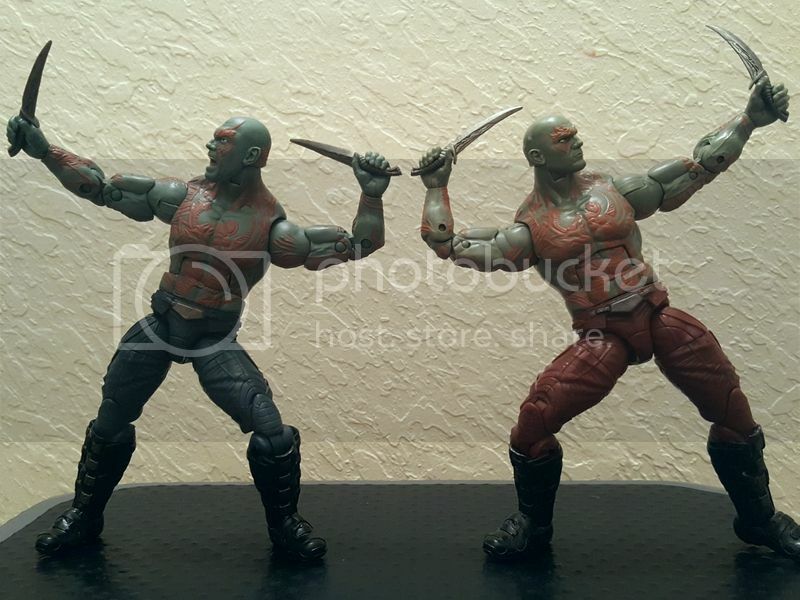 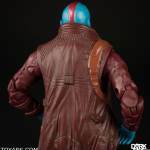 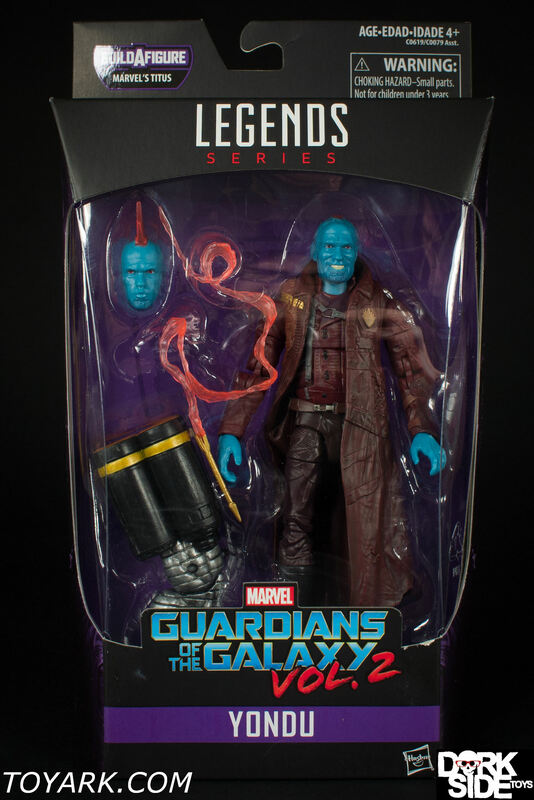 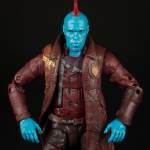 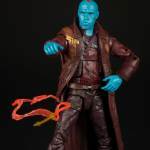 2 Yondu, All Marvel Legends, Newly Listed Marvel Legends Guardians of the Galaxy Titus Wave. 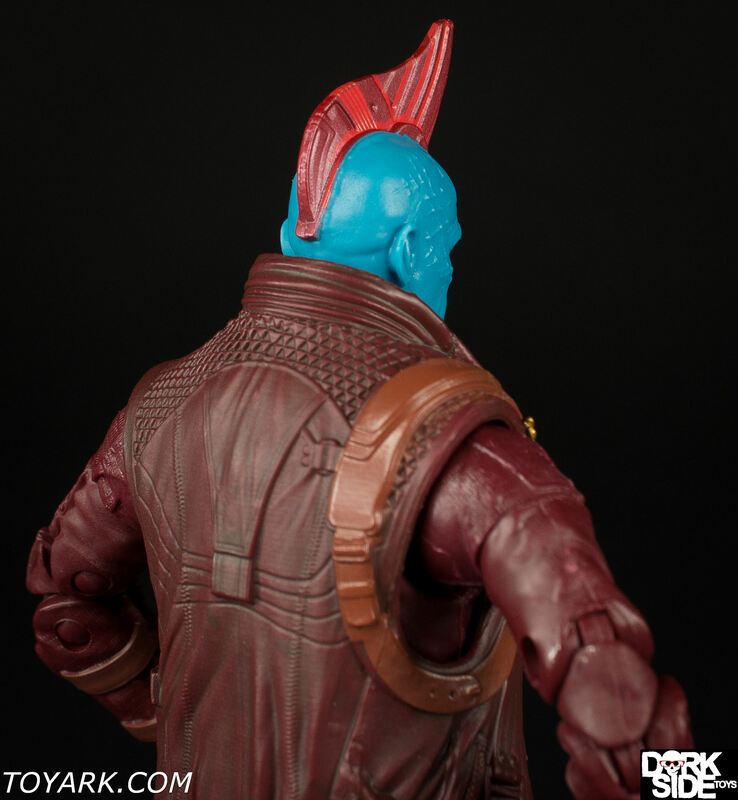 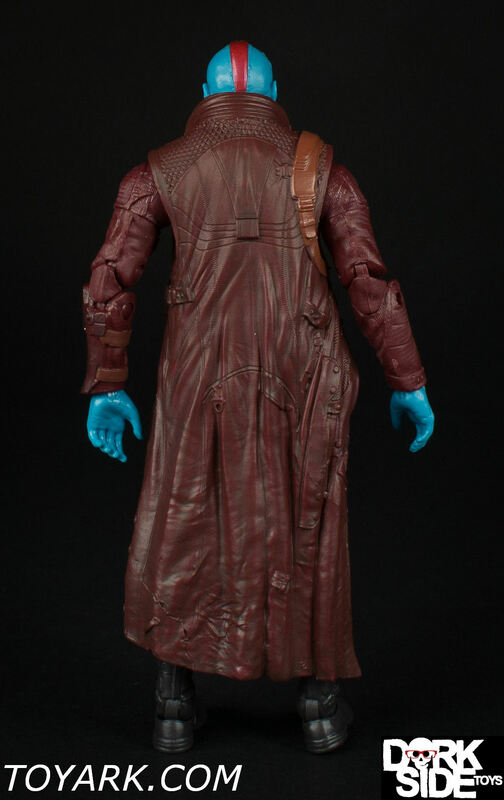 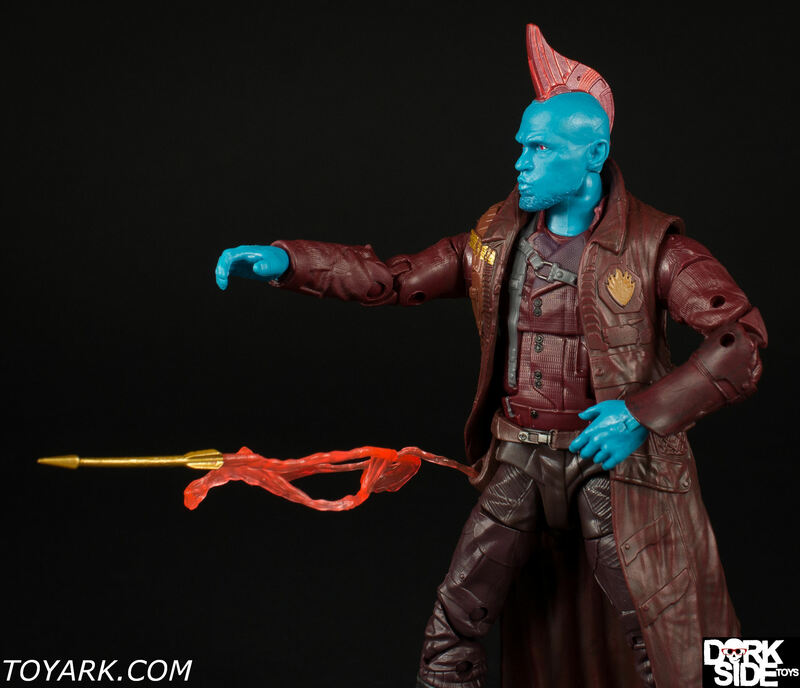 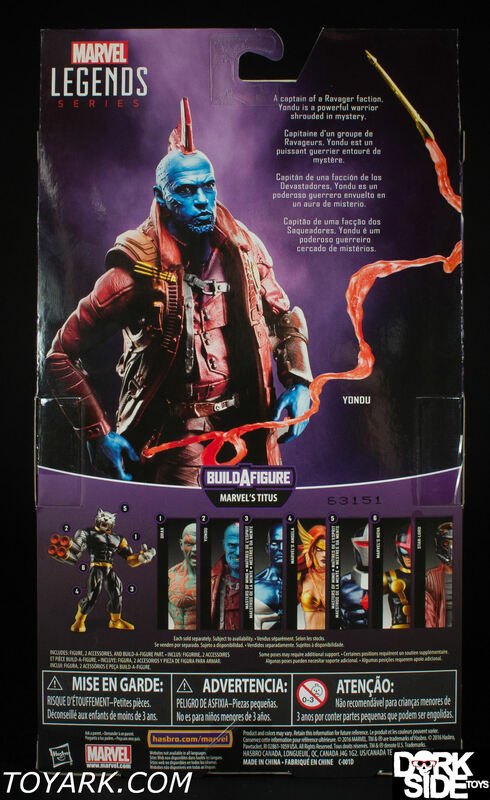 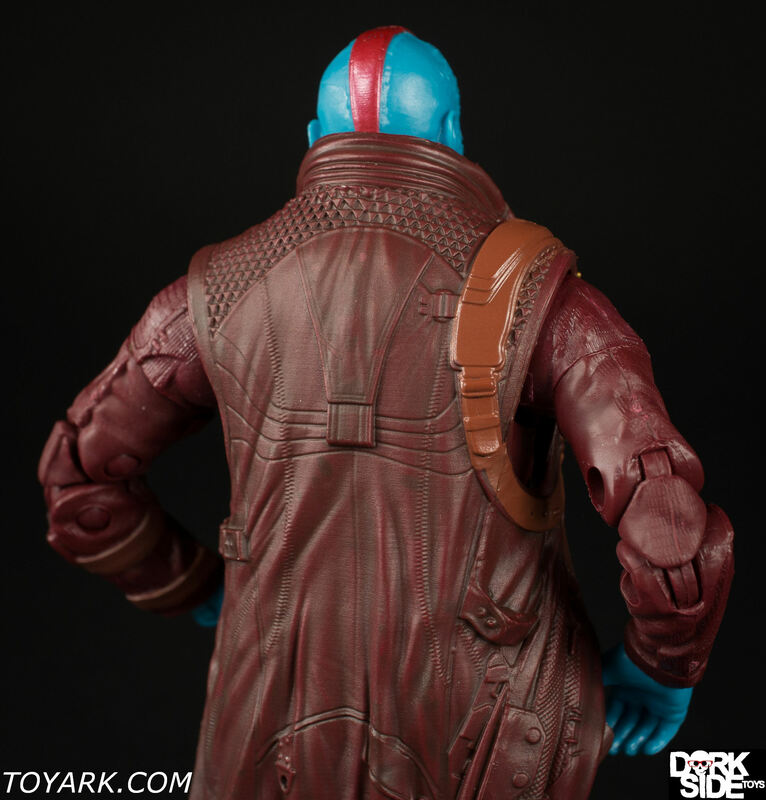 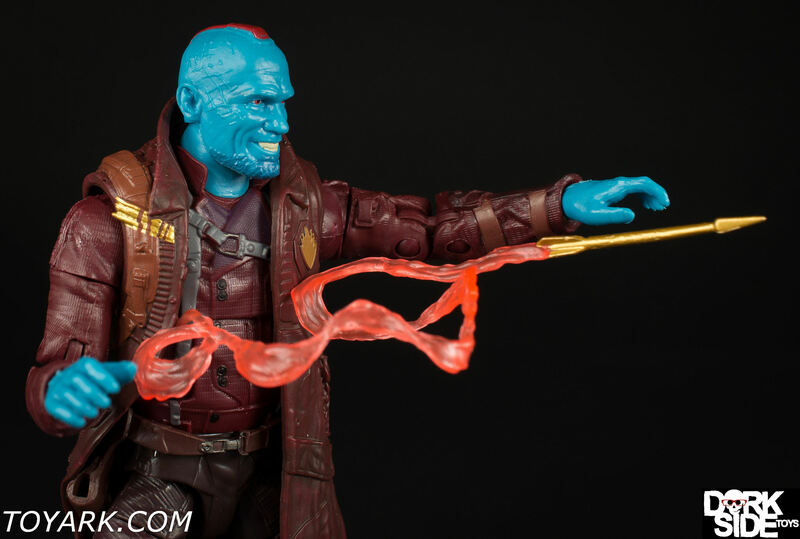 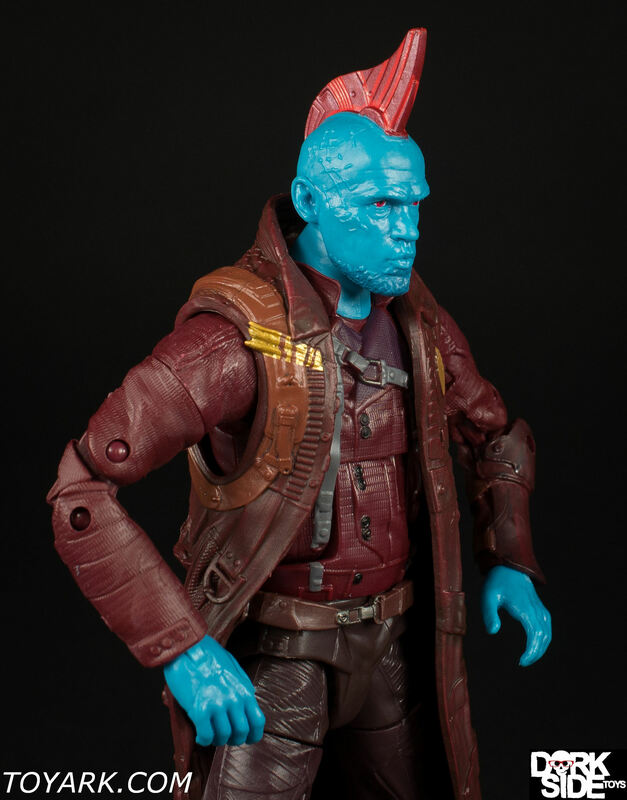 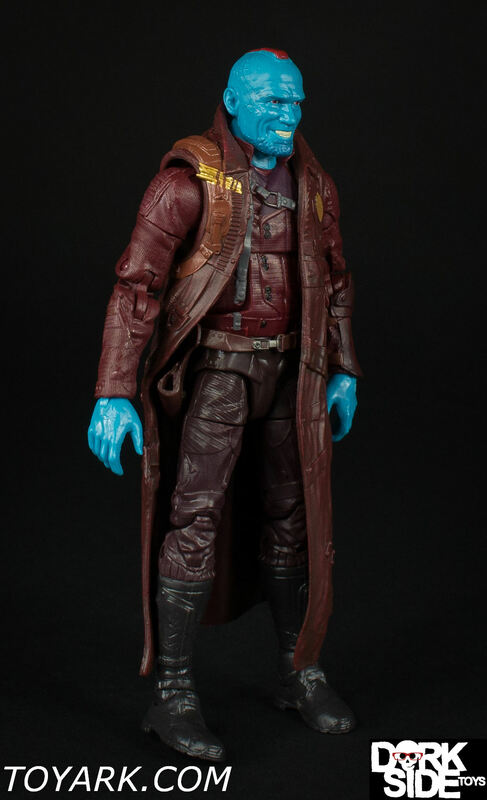 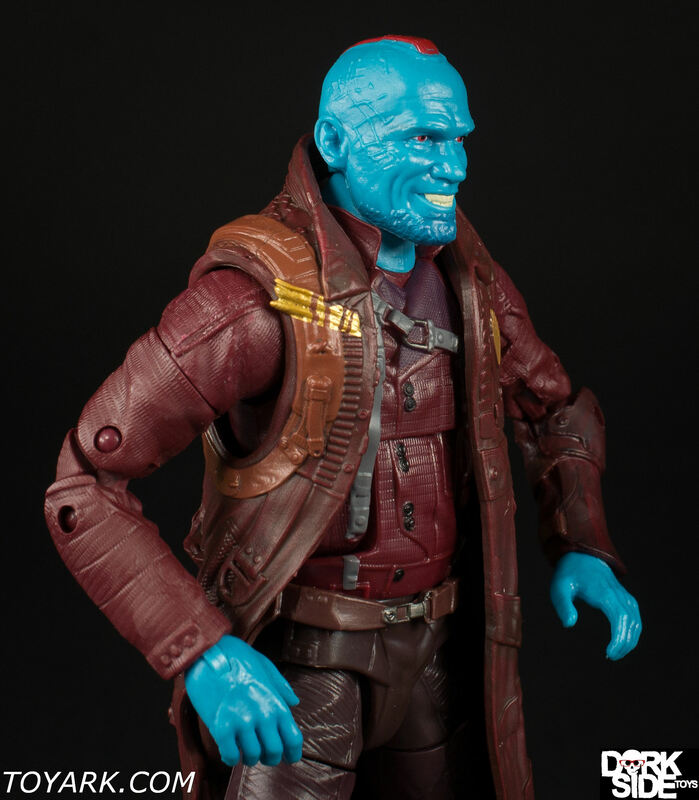 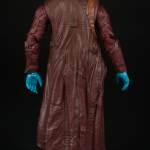 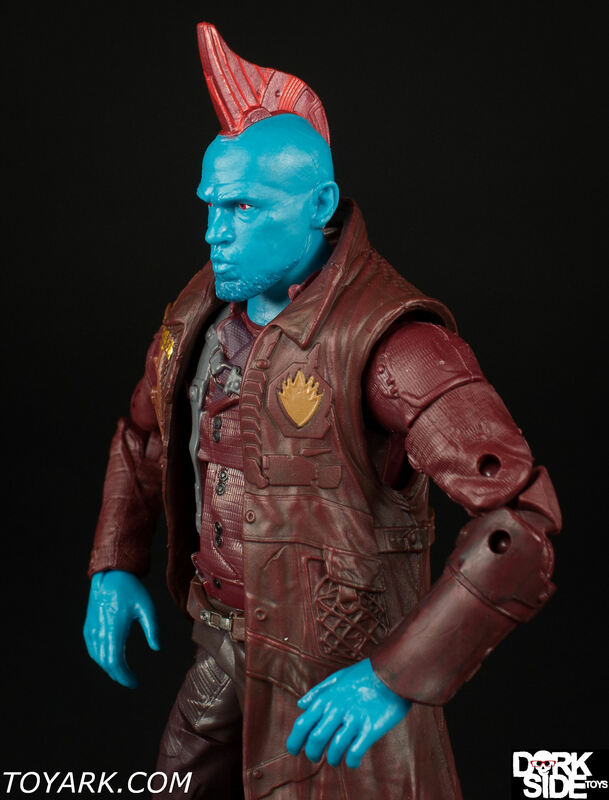 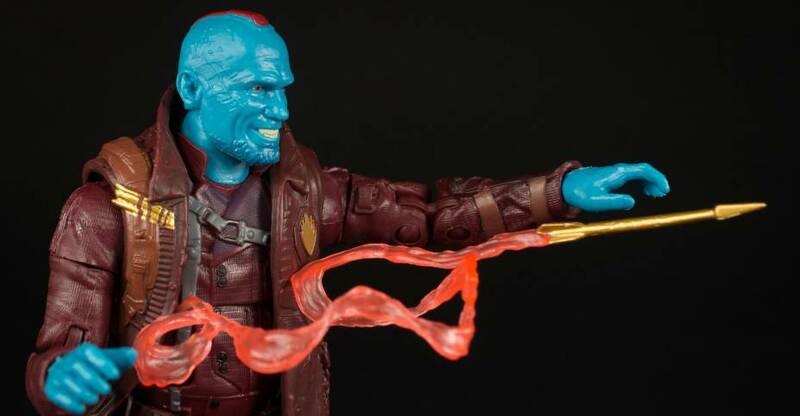 Yondu is yet another snap grab for any GOTG fan. 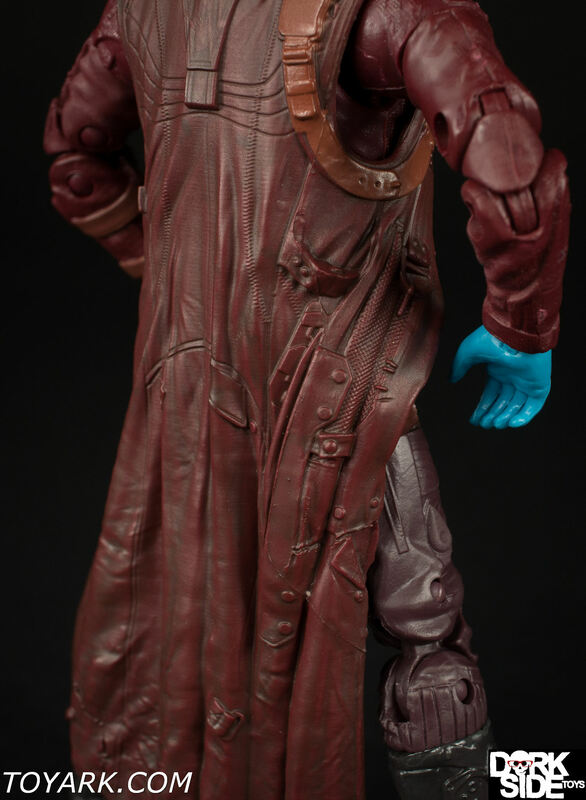 Really nice attention to detail all around from head sculpt to cape. 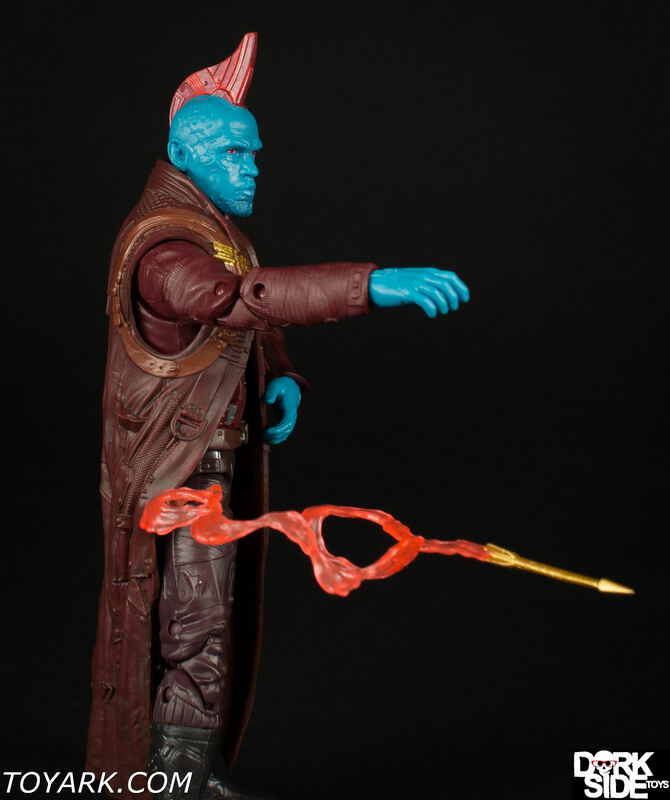 I really like the flying arrow accessory and it even sits inside the cape nicely for the floating effect. 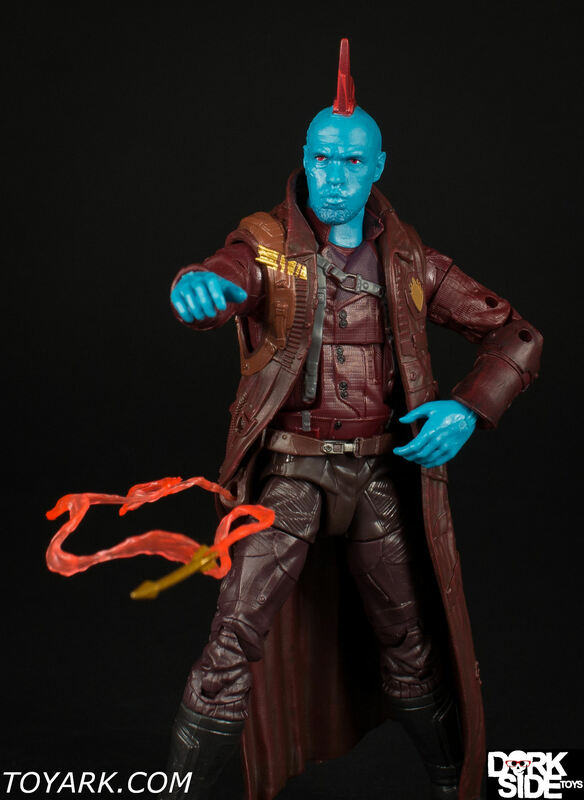 It would have only been better if they included an extra arrow for the holster with out the swirl. 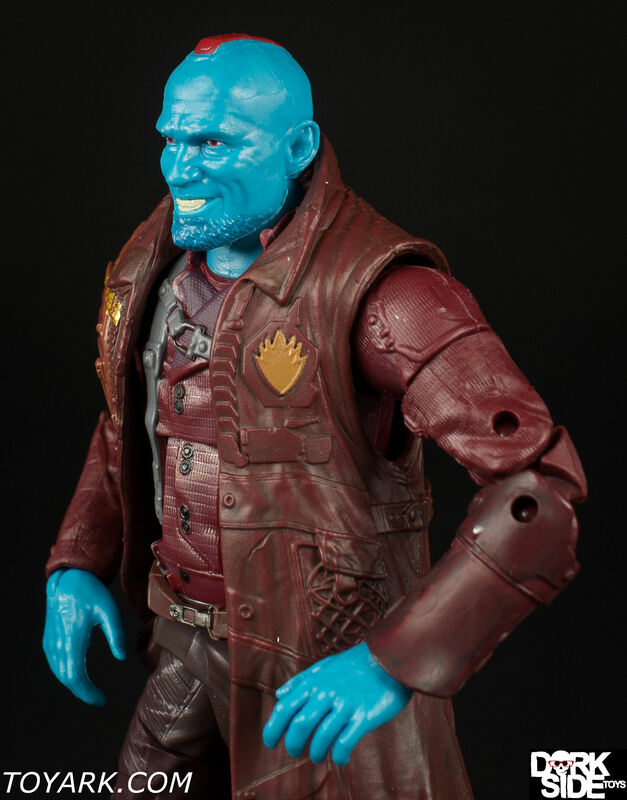 Another great MCU Marvel Legend!